Puerto Carreño (Agenzia Fides) – There is major concern "for the growing wave of emigrants towards border cities such as Puerto Carreño and Puerto Inirida" in Colombia, in addition to the need to implement "pastoral actions that help keep hope alive and to alleviate the suffering of those who had to leave the Country", are expressed in a" Joint Message of the Bishops of Colombia and Venezuela" of the border areas along the Orinoco river. The document, published by the Colombian Episcopal Conference with the date of 10 April, recalls that the representatives of the dioceses met in the city of Puerto Carreño (Colombia) on 14 and 15 March to "analyze the social problems many Venezuelans are experiencing" and try to help solve this huge crisis that is growing day by day. 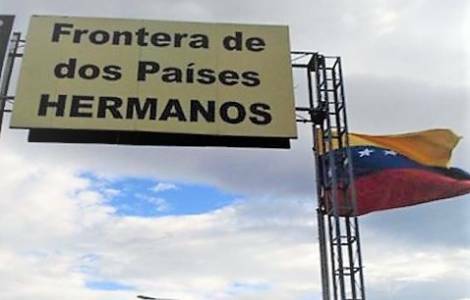 "The arrival of Venezuelan citizens will not stop", states the message sent to Agenzia Fides, at least not in the short term, due to the scale of the Venezuelan crisis (see Fides 8 and 24/02/2018; 20/03/2018). The Bishops also warn that the growth of immigrants is generating insecurity, distrust and, in some cases, xenophobia by some inhabitants, "many have forgotten that in the past Venezuela welcomed hundreds of Colombians who were looking for a better future there". The Bishops express the need to pay special attention to children and young people, "who roam the streets, do not go to school, and are at risk of prostitution, drug addiction, alcoholism, exploitation, breaking up of the family". We need to overcome xenophobia, "so that we are all able to recognize ourselves as brothers, worthy of respect and solidarity". Then, highlighting that it is government agencies that should take on these tasks, the Bishops say: "as a Church, we have the firm will to welcome, listen and accompany our Venezuelan brothers, so that they can live with dignity on this side of the border". Finally, they ask ecclesiastical circumscriptions and public and private bodies to contribute positively to the integral promotion of the most vulnerable population. They thank Caritas Internationalis and the National Social Pastoral for their support and solidarity, urging them to "continue to give their fraternal help". 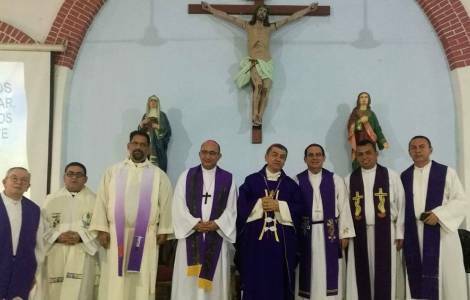 In 2017, Cáritas Colombia alone took care of about 9,200 families emigrated from Venezuela, in the dioceses of Cúcuta, Riohacha, Puerto Carreño, Arauca, Barranquilla, Ipiales and Bogotá.